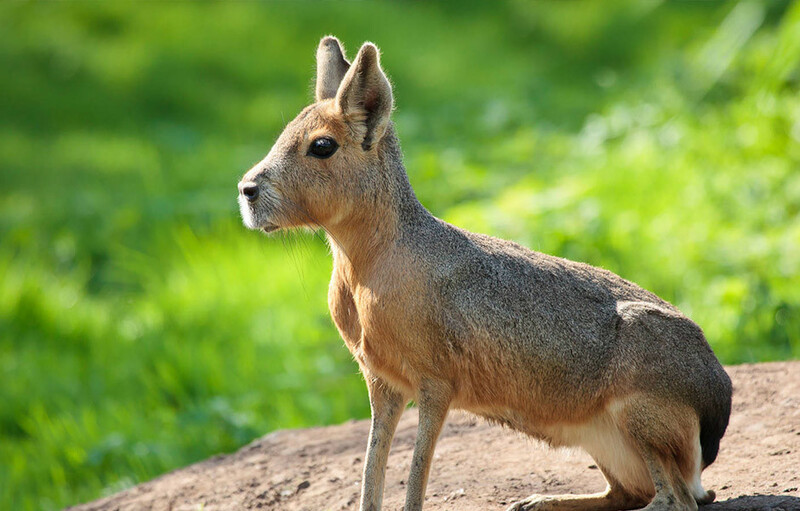 Mara are the fourth largest rodent in the world, after capybara, beavers and porcupines. Pairs mate for life and live in communal groups in underground warrens. Males will often follow their partners, where ever they go, and if their attention is unwarranted, the female has the ability to spray urine at him.